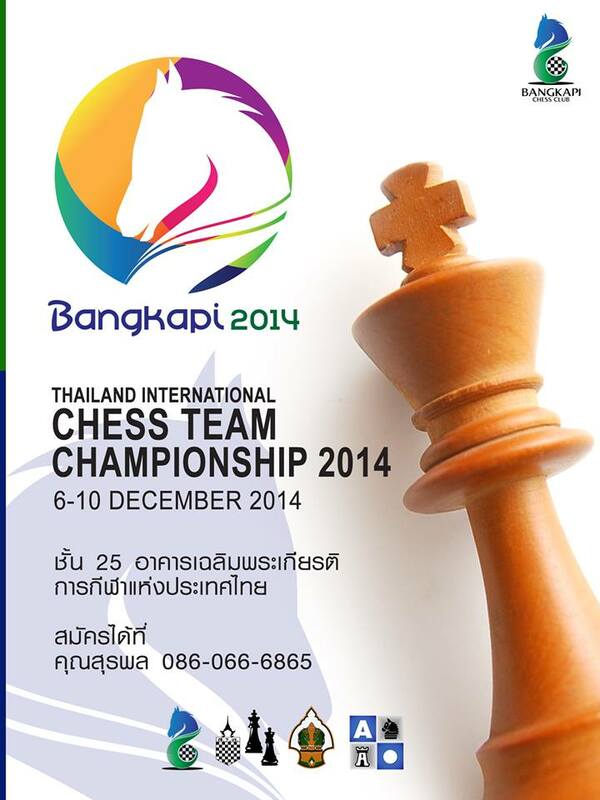 Bangkapi Chess Club invite all chess player who interest to participate in Thailand Chess Team Championship 2014 between 6-10 December 2014 at Chalermprakeat Building 25 Floor, Sport Authority of Thailand. 3.3. Thai and Foreigner can participate. 3.5. Each Team consist of 3 Open board with 1 reserve and 1 Woman board with 1 reserve. 5.2. 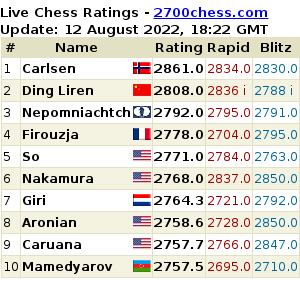 Each player has 90 minutes and increment 30 second permove since the first move. 5.3. Each player not appear in 60 minutes from start time in each round then consider loss by forfeit for that round. 5.4. Each player must record their game and his or her opponent. 5.5. Each player are prohibit any mobile phone or any electronic device in tournament area if any detect consider loss by forfeit for their team. 5.6. Decision of Arbiter consider final. 5.7. Organizer can change or add or deduct any rule without advance notice. All prize with trophy and group 2 is depend on number of team participate.